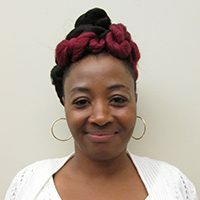 After hearing about our work to improve access to healthy foods in neighborhoods across the region, Raynette Griff knew she wanted to make a difference. 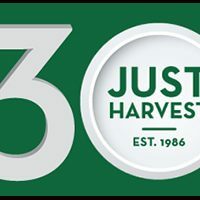 Just Harvest has been working hard to improve DPW’s treatment of those in need. 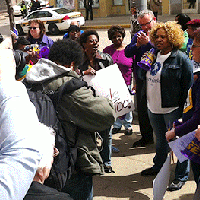 With you at our side, sharing ideas and speaking out, we’ve made a lot of progress. Read this recap on the campaign thus far and find out what’s happening next. 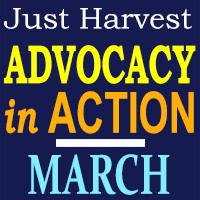 By Just Harvest on November 5, 2013 in Take Action! Just Harvest is pleased to be a featured guest on the Working Families Radio Network’s ‘The Union Edge’ radio program every third Friday of the month, starting November 19! ‘The Union Edge’ is hosted by Charles Showalter and can be heard live WPYT 660AM Pittsburgh Fridays at 2:00 p.m. You can also listen via WFRN’s Internet Radio stream.